What started out as a nice walk between my son and I a few days ago ended up being an important discussion on Internet and gaming safety. My son kept looking at his phone and I asked him why! We usually have a no screen time when there is family time rule. What was taking his attention and making him risk breaking the no screen time rule? It was a new mobile game/app, that unless you have unplugged completely from all technology and news, everyone has heard about: Pokémon Go. 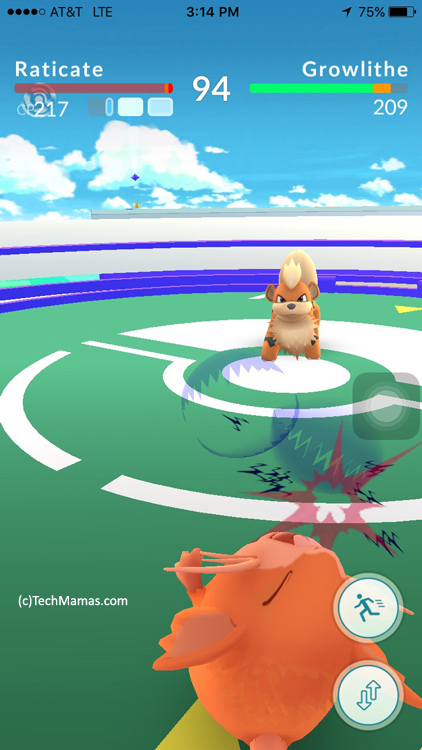 Pokémon Go is a augmented reality game using a smartphone (camera + GPS) where players use motion forward, such as walking, to move their avatar in the game and catch “Pokémon” as you go. Poke stops are small landmarks in the real world that are noted in game with a sign (like the entrance to tennis court). By swiping to either side of screen and making the sign spin, you can receive items such as Poke balls, Pokémon eggs and potions. To hatch Pokémon eggs you have to walk or bike a certain distance in real life. The game uses 2, 5 and 10 Kilometers. The concept is fun, family friendly, the battles are cartoon “Pokémon” style battles. It is a fun game that takes kids (and adult) outside or one that they can play on the move. 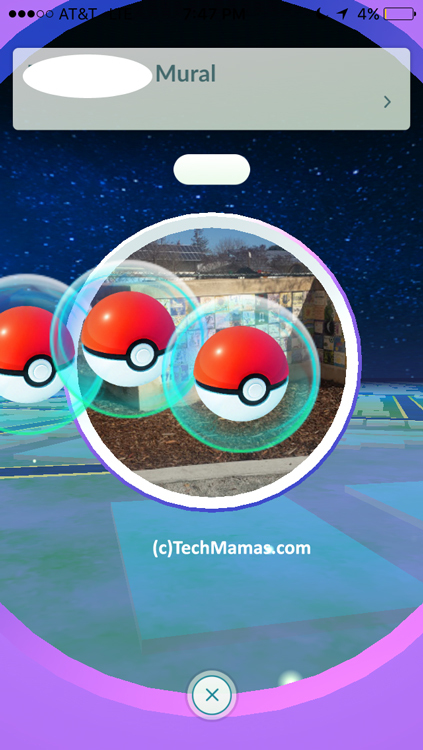 Players look for PokéStops and Pokémon gyms which are usually at meeting places and attractions. While the game is *free*, there is in-app purchases that parents need to be aware of. The game was developed by Niantic labs with the Pokemon Company and Nintendo. Niantic’s CEO said the goals of the game were to inspire “exercise, see the world in new eyes and break the ice“. And Poke balls in augmented reality to park! Physical Security Issues: You play in “public” teams and that can be a security issue for kids and adults (check out this article on Quartz Augmented reality gets sinister as Pokemon Go leads players to a real-life dead body and armed robbers ). Parents should tell their kids to only go to known local destinations such as town libraries, schools, parks and never meet up with strangers. 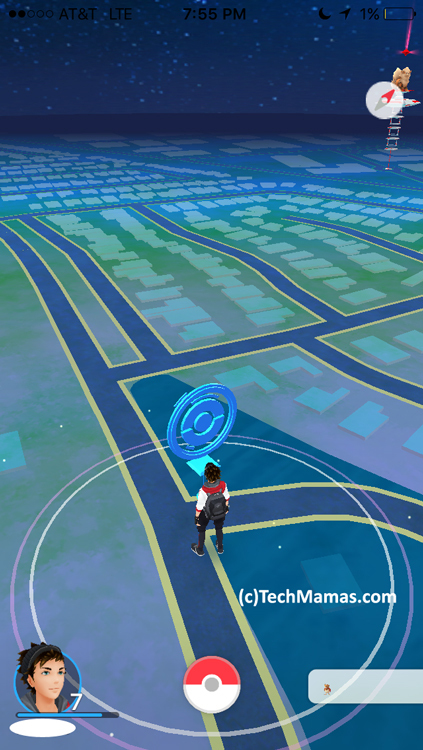 Here is more information on finding PokeStops via Polygon (and how they are editable!). Depending on the age of the kids, it will be very important for parents to go with the kids on their walks. In our case, we have teens so they are out on their own more often. We still sat down with our teens to talk about the safety issues and set up rules for using the game while out of the house (such as issue 2)! This reminds me of when I found out you can actually get robbed in minecraft. Here is my Mashable article I wrote about that experience: “Teach Your Kids How Not to Get Mugged in Minecraft“. UPDATE: But don’t play Pokemon Go during visits to museums like the Holocaust Museum or other inappropriate PokeStops “10 Inappropriate PokeStops via Mashable“! 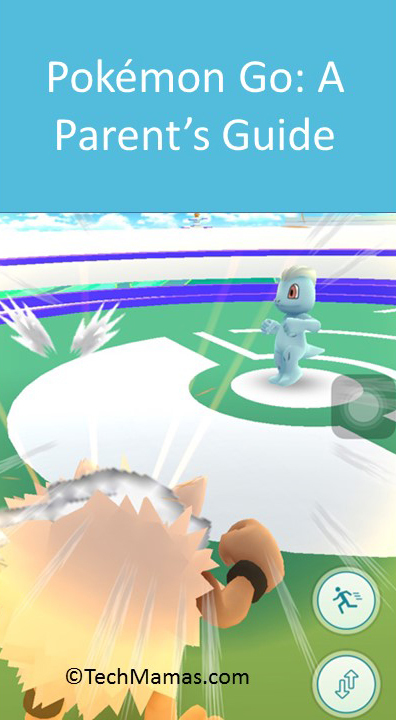 Not paying attention to your surroundings: When you are playing there is some monitoring of the app to see when there is a battle or other game activities. I told my kids they can NOT WALK AND LOOK AT THEIR PHONE AT THE SAME TIME. It is dangerous when outside to not be paying attention to what is going on around you. I told my son that we need to stop walking in a safe place to check the game. In-App Purchases: As mentioned above, free apps with “in-app” purchases can be dangerous for kids who don’t understand they are spending real money. It is important to set up controls for in-app purchases. For example, for my son’s iTunes account, there is no credit card associated so he can’t make any purchases. Instead, we give him iTunes gift cards that he “earns” with chores to buy apps. 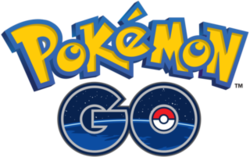 Businesses: Some businesses may be putting information or Pokemon stops for the game on their location. Make kids aware that just because a business has information about this game does not mean they should share their photos with them or that the business is a safe stop. Also that they don’t need to go to fast food restaurants for Poke Stops, there are many other “outdoor” adventure Poke Stops that will be more fun and also better for exercise (via Gizmodo “Pokemon Go partners with McDonalds“)! 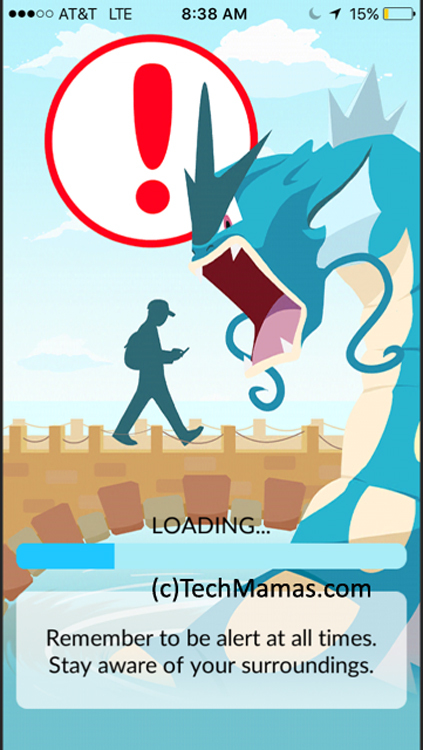 Malware: Techcrunch posted with information on potential malware resulting from Pokemon Go: “Here comes the Pokemom Go Malware“. Is Pokemon Go improving our cities? via Curbed. 3 Ways Your Business Can Benefit from Pokemon GO. And yes, you knew it was coming. Pokemon Go will soon be adding sponsored locations. And one other amazing detail “On July 7, one day after its release, Pokémon Go had more Android installations than Tinder in US, and by July 8 it was on 5.16% of US Android devices” via Techmeme. 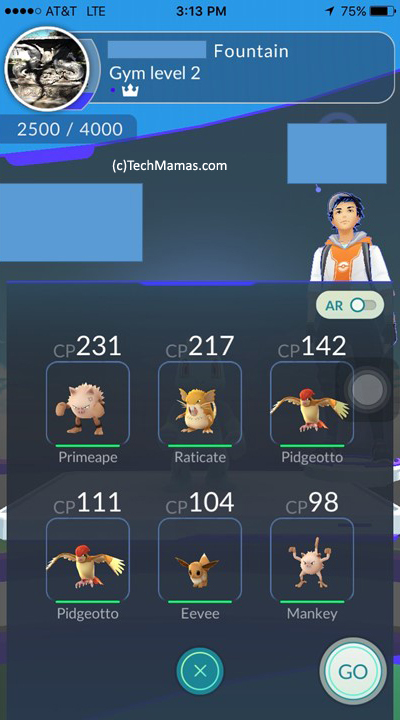 Oh, and moms are playing Pokémon Go too.. To find things that is (video via MyLifeSuckers). Have you played Pokémon Go? And if so, what do you think? I am still learning about the game so I would love to learn more from my readers! I have seen many kids and adults enjoy using the game outside with friends so that is positive aspect. Lately there are articles about the health benefits of Pokemon Go. As long as you watch out for some of the issues, I think the game can be a fun and social game for “kids” of all ages. Many parents are reporting to me that they have enjoyed not only going on long walks playing the game with their kids, but also meeting other people in their neighborhood playing the game as well. So there is a very positive side of the game! Disclosure: This is a press post. I will be updating the links as I find out more information.